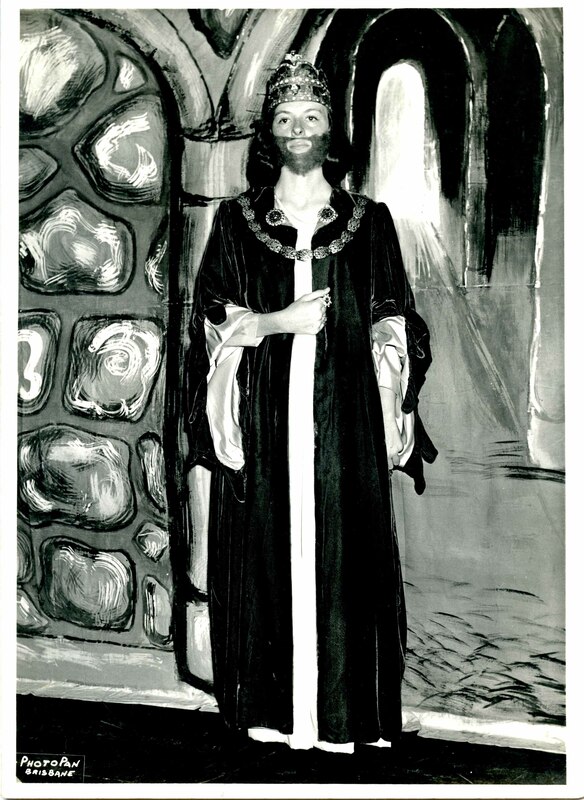 This entry was posted in Family History, Sepia Saturday and tagged All Hallows', King Lear, Pauleen, Sepia Saturday by cassmob. Bookmark the permalink. Look forward to it Chris! A double entendre or a typo? Good Lord, Lear is a hefty play for anyone and even the most accomplished actors don’t take it in lightly, whatever was an all-girls school doing staging it? Well done to you all. It’s nice that you have the programme and autograph too. Maybe that program will now turn up -things usually do when you stop the hunt I find. I’m surprised your school didn’t take on some of Shakespeare’s lighter tales. Then again, when I was in the 12th grade our English class studied “Macbeth”. We didn’t go onstage with a production of it, but formed groups to perform assigned scenes each day in front of the class. Funny thing about that – everyone in the class got either an “A” or a “B” on the final exam! Wow, what an amazing production, and not very common for such talent. You certainly have the memories to treasure here, lucky you. Luck to everyone involved. I think it was fun at the time Karen and yes, memories to keep. I was a gathering several years ago where people brought along photos of themselves that were all stuck up on a board. The intention was that people were to match the photos to the people now. Some shots were easy, but others had people confused. I would love to see this shot of you at such a gathering. The gender bending king from yore.